Notifications on your tablet or PC are both expected and appreciated by most. Whether it is an email arrival notification or the latest weather information being popped up, I for one have become dependent on these little tidbits of information that come to me throughout the day. There are times however when I’m in the middle of another task and I get a notification and need just a few more seconds to tap it and interact with it. 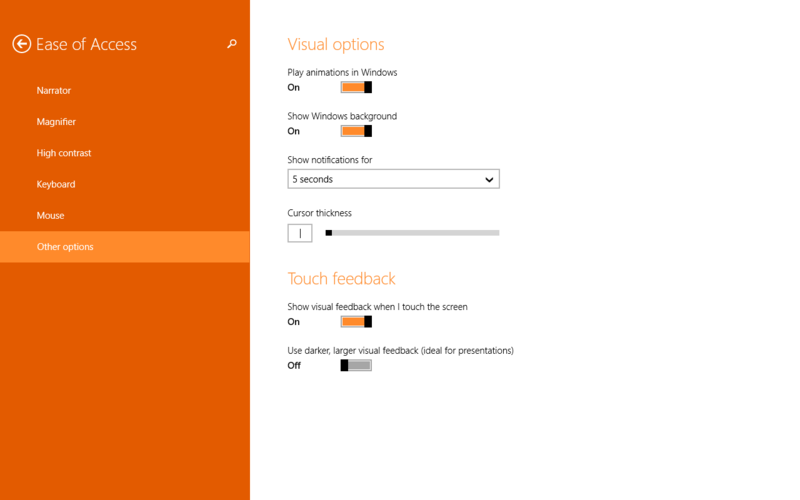 By default Windows 8.1 gives you 5 seconds to either click on the notification (or close it) or it will fade away. There is a way however to make this displaying of notifications longer and in this How To I will show you where this setting is buried within the PC settings on your device. features for years in Windows and if anything these options have only become more refined in later generations of Windows. On the Other Options section of Ease of Access you will see the option “Show notifications for” and a drop-down menu. By default you will see it is set for 5 seconds which for the vast majority of users will be just fine. However you can change this to 7 seconds, 15 seconds, 30 seconds, 1 minute or 5 minutes depending on your needs. Personally I have found that 7 seconds is the sweet spot for me personal use style. What you will need for your own use will take some experimenting perhaps but now you know where to change this setting.